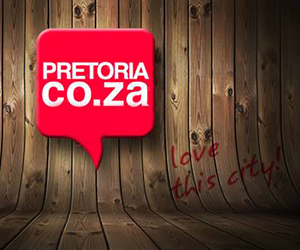 Joburgers love curated food, art and beverages. We just adore having things tailored just to our personal liking. Artisan markets are therefore becoming increasingly popular. These fun-filled family events are also the perfect way to unwind on the weekends. With offerings of tasty treats, craft drinks and a distinctly Joburg vibe, visiting markets is the new way to explore the city. The Waterfall Market will be set up at Waterfall Park on Sunday, 17 February 2019. The park is just opposite the Mall of Africa in Midrand. This expansive picnic ground plays host to many outdoor family-friendly events, including holiday-themed night markets. In November 2018, the organisers of the Fourways Farmers Market hosted a summer night market at the venue. Now, the park will be transformed into an artisans wonderland. Featuring the best crafters, artists, bakers and musicians the city has to offer. The venue is child-friendly and is the perfect spot to go for a Sunday afternoon picnic. There will be a plethora of exciting food stalls on show at the Waterfall Market. From gourmet street food trucks to home-baked breads and cakes. Organic food fundies should also have their spoils, as Joburg’s finest fresh produce stalls will line the Waterfall Plaza. Drink enthusiasts, your needs have not been forgotten. The usual gin, craft beer and cider stalls should be expected at the event, as well as wine and champagne tasting expositions. Visitors can enjoy their food goodies and ice cold drinks at communal tables set up around the park. Alternatively, bring along a picnic blanket and make up your own little feast spot in the park. Pretoria-based singer-songwriter duo, Bad Peter, will be headlining the Waterfall Market stage. PG Badenhorst and Alwyn Bekker (a.k.a Bad Peter) have released two EP’s since their inception in 2014. They released their last musical output, titled ‘Need to Hear’, independently in 2017. Their music is distinctly South African, as it blends various styles and genres into one smooth sound. ‘We don’t like to limit ourselves to a specific genre. Being singer-songwriters gives us that freedom. You’ll hear folk, blues, african, pop and latin influences in our songs’, Bad Peter says of their style. Listen to a sample of Bad Peter’s music here. Photo sourced from Bad Peter on Facebook. The Waterfall Market will take place on Sunday, 17 February 2019 from 9 AM – 5 PM. Find the Waterfall Park at Lone Creek Cresent and Magwa Crescent, Waterfall City, Johannesburg. Entrance is R10 per person. Children under 12 and pensioners enter for free. Contact the Waterfall Park on Facebook.